Well, let’s start with the positives. 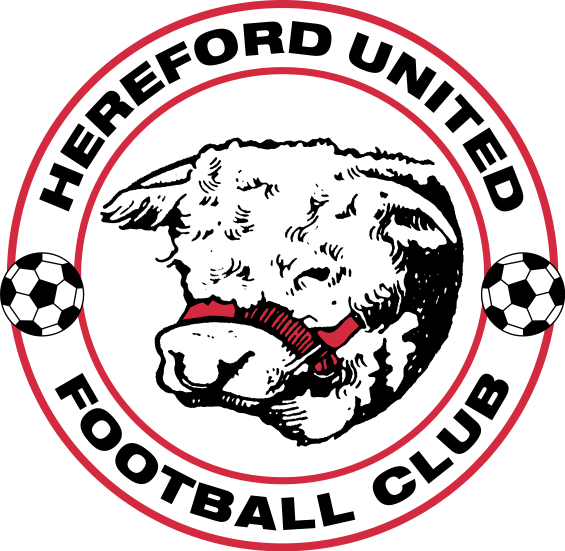 We had a good journey to Hereford on the Alliance coach, the company was delightful, the weather stayed nice, Hereford was pleasant, the view from the away stand is great so long as you don’t suffer from vertigo, and Andy Drury scored a great goal. Oh, and Josh Simpson managed to be man of the match at left back- Mr Versatile! Now the negatives. We gave Hereford their goal with a defensive mistake. Claude had to go off injured and Dean Howell, for all of his hard work, is not a centre back. John Akinde must have run over a black cat and broken half a dozen mirrors because he has no luck in front of goal whatsoever. Oh, and Sarfend beat Oxford. And to make it worse, there isn’t a decent fish and chip shop anywhere on the way home, apparently. (Pulls disgusted face). It has been an interesting week. I didn’t really want to draw Bury in the FA Cup, but it’s a ground I haven’t been to, against a team we are good enough to beat, and we got a great deal on the coach- so join us next Saturday for a measly (!!) fifteen quid! Travel Ken awaits your call. Also, the club offered us a signed away shirt to help promote the long away trips to come, so we were able to announce a free prize draw which everyone who travelled with us today and those who travel to Bury, Crewe and Rotherham will automatically be entered into- one entry per trip, so you can have up to four entries each! The winner will be drawn after the Rotherham game, and the prize presented on the pitch before our home game with Barnet on 30th December. Then, yesterday, bell ringing Paul and I had our monthly liaison meeting with Alan Williams at the Broadfield. The meeting was positive as always, and I won’t repeat the points here as they are already elsewhere on this site, but the news about the new stand is particularly pleasing. And if you’ve ever visited the Penzance Pirates you’ll have a good idea what it will look like- only you’ll be watching a game with different shaped balls! The rest of the Alliance Committee have been busy too. We should be announcing a new sponsorship deal with the Centre of Excellence shortly- and congrats to Rusky and the boys for the fantastic Youth Cup victory on Wednesday night. The soccer coaching in local schools is going very well, and we will be updating you on that shortly too. We’re looking to restart Golden Gamble this month, with profits to our joint CTFC/CTSA initiatives. We’re also looking at Community Travel initiatives and organising a mini World Cup tournament looking to bring together the diverse communities of Crawley and get them interested in our mighty Reds. The work of Travel Ken and Travel James goes from strength to strength (though the dancing of Travel Ken gets worse and worse- he’ll be banned from Hereford after todays electro-bodypopping efforts on the grounds of outraging public decency). So, as you can see, we’re busy- and if you have a little time we’ll always be grateful for any extra help you can offer. We have to be a little disappointed not to have ended the week with three points- when all is said and done, the main reason we do what we do is because we love our football team. We worked hard today, Hereford defended valiantly (and wasted time dreadfully), but we didn’t really threaten enough. As I said, Big John had no luck despite working incredibly hard, Tubbsy never stopped, Drury scored a cracker, Scotty Neilson threatened sporadically, but in honesty the Hereford keeper was generally underemployed. We looked a little shaky at the back too, but with a left back playing at centre half, a midfielder playing at left back and Pablo a little short of match practice I suppose that’s not too surprising. We didn’t ever look like losing the game, but I was never confident we’d win it either. But should we be downhearted? Absolutely not. We’ve had two boring 1-1 draws, but we still haven’t lost in an awfully long time, we’ve had viruses, injuries, poor refereeing, time wasting and yet we’re still second in the League. And we have a new FA Cup adventure about to start! See you all in Manchester- shame it isn’t Old Trafford this time, but we can’t have everything!